Diprosalic is a skin and scalp treatment for inflammatory skin conditions. Can I buy Diprosalic online? 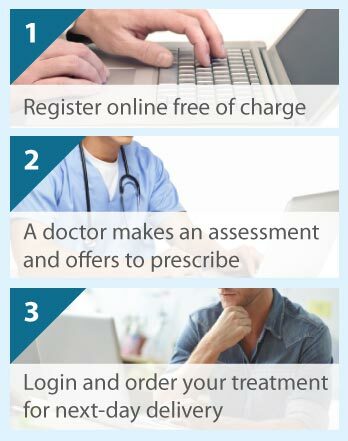 Diprosalic can be prescribed online following a short consultation. Just answer a few questions and your case will be assessed free of charge by a doctor. We deliver your medication the next day. Diprosalic is a combination medicine with two active ingredients, betamethasone dipropionate and salicylic acid. Betamethasone dipropionate is in the potent corticosteroid group of medicines. It has anti-inflammatory and anti-itching properties, and reduces swelling by constricting the blood vessels in the skin. It is used to treat inflammatory skin conditions. Salicylic acid causes the skin to shed its outer layer of cells, softening and thinning the skin. It is used in the treatment of conditions in which the skin becomes thickened and scaly. Together, these medicines reduce the swelling, redness, and itchiness caused by a range of skin problems. The softening action of salicylic acid helps the betamethasone dipropionate to penetrate the skin and reach the underlying skin problem. Diprosalic is a topical treatment. It is formulated as an ointment (0.05% w/w / 3% w/w) and a scalp application (0.05% w/w / 2% w/w), which are applied to the skin's surface. Usually a thin smear of ointment or a few drops of scalp application are carefully rubbed into the affected skin area twice daily. The scalp application is for use on the scalp only. The ointment should not be used under dressings such as bandages or on skin covered by a baby's nappy. Avoid getting Diprosalic in your eyes, and remember to wash your hands after use (unless this is the treatment area). If the problem area is on your face, then the ointment must not be used for longer than 5 days. Children also should not be treated for longer than 5 days. If the problem is over a large skin area, then the ointment must not be used daily for long time periods such as for many weeks. If you have used Diprosalic for a long time and the skin problem has resolved, then speak to your doctor before stopping it; you may have to gradually reduce its frequency of use. By abruptly stopping Diprosalic, you may experience red, stinging skin in the treatment area. Accidental ingestion of Diprosalic should not cause problems. However, if you use Diprosalic more frequently than directed, then it may affect some hormone levels (which can affect a child's growth and development), or cause nausea, vomiting or ringing in the ears. If you happen to miss a dose of Diprosalic, then apply the treatment when you remember and continue as you have been told. Both adults and children can use Diprosalic. Women should seek advice before using Diprosalic if they are pregnant or breastfeeding or have plans to become pregnant. Avoid using Diprosalic if you are hypersensitive/allergic to either betamethasone dipropionate or salicylic acid, or to any of the other constituents of this treatment. You should also not use your specific preparation (either ointment or scalp application) on another skin condition, because you could worsen this condition. Such other skin conditions include acne, rosacea (facial redness and swelling), skin inflammation (dermatitis) around the mouth, cold sores, chickenpox, nappy rash, and genital itching. It is always good practice to mention any of your current or recent or future medicines to your doctor. Side effects from Diprosalic are rare when you use this medicine as you have been told by your doctor. With more frequent use, you and particularly children, may experience skin thinning; skin rash (swollen, itchy, burning skin); blistering and peeling skin; dry skin; and red ‘stretch’ marks (particularly with the ointment). Hair follicles can become inflamed, and there may be excessive growth of hair, reduction in skin pigmentation, and the potential for allergic reactions. Using Diprosalic too frequently may also result in dermatitis, which is red, itchy, inflamed skin caused by your skin reacting to products such as soaps. It is useful to know that because Diprosalic contains a topical corticosteroid it can have the same side effects as corticosteroids that are taken orally or inhaled. This is especially the case in children.